The Australian National Cats Inc (ANCATS) is unique organisation responsive to the needs of all cats-their owners, breeders and exhibitors. Come visit anytime as a member or guest to find information on how to care for your cat, upcoming cat shows, join us, and visit our breeders, national partners and supporters. ANCATS is the first and only national cat registry, and are affiliated with the World Cat Federation. ANCATS maintains National breed Standards, prefix register online, judges training program and breed committees. We are particularly proud of our national junior handlers program. ANCATS presents both national and regional Cat of The Year (COTY) awards. National phone number 1300 PET CAT All Registrations, show processing, status updates, and memberships utilize the "Cat Data" program featuring world's best practices. with in excess of 40 affiliated Clubs and kindred societies, which conduct 45 shows each year under the Rules and Regulations of the NSW CFA. In excess of 3,000 individual registrations are processed by the NSW CFA each year. The NSW CFA is a founding member of the Co-Ordinating Cat Council of Australia, one of the two umbrella national organisations of Cat Control Councils in Australia. More than 80% of the entire Australian Cat Fancy belongs to member bodies of the Co-Ordinating Cat Council of Australia. The setting up of the The Governing Council of the Cat Fancy Australia and Victoria Inc. in 1928, the third in the world, was a progressive, forward-thinking move and we intend to continue in the same way. We are a happy group, who help each other in many ways, from setting up and pulling down shows, to sharing knowledge and experience. We have 13 affiliated clubs who are the full Members of Council, each of which have 2 delegates to vote at monthly Council meetings so that everybody who joins a club has a say in the running of Council. The Feline Control Council of Western Australia Inc. is a Registering Body for pedigreed cats and kittens. All breeding stock and kittens born to cats owned by FCCWA Inc. Members in Western Australia have their details recorded in our database. Our pedigrees are accepted worldwide and our Members export and import breeding stock to and from many countries. Advice and info on all cat matters. Feline Association of South Australia Inc.
Queensland Feline Association Inc., based in Brisbane, was founded in 1975 and to date is the largest registering Cat Control Council in Queensland. QFA Inc. has a fully computerised system of record keeping and can therefore offer breeders fast and accurate services of the highest possible quality. QFA Inc. affiliated Cat Clubs conduct Championship Cat Shows almost every month. Members of the public are more than welcome to come along to see our beautiful cats. See our Cat Show Calendar page for further details. Established in July 1992 COAWA is an incorporated cat registering and advisory body affiliated with the Coordinating Cat Council of Australia (CCC of A). COAWA provides all services related to the registration of pedigree cats and provides the opportunity to meet and interact with other breeders, owners and other cat lovers. We also register Companion cats which are non-pedigree or desexed pedigree cats. AICC Inc is an Australia Wide Cat Organisation. An open honest independent and progressive association. Proudly associated with World cat Federation. The issuing of Pedigree Registrations. Please Note our financial year is a calendar year January - December. If joining after June please contact office for a price. Full financial members who have one vote. 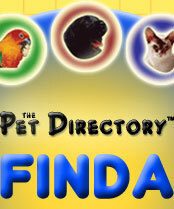 Full members are entitled to register a prefix/suffix/cattery name. Be eligible for coty points at shows. A person who wishes to join AICC, but also wishes to remain a member of another registering body. Conditions of Co-membership. The ability to show with AICC. Be eligible for coty points. May register an existing prefix, suffix from another body. May register Kittens under this prefix/suffix. Has no voting rights but does have speaking rights at a general meeting. Under 18, no voting rights but has speaking rights at a General Meeting. Not entitled to register a prefix/suffix. Reserved for clubs only who have been approved for affiliation. Affiliations do not have voting rights. Promoting the registration of, showing and breeding of cats. Promoting responsible pet ownership. 'FCCQ Inc' Feline Control Council of Queensland Inc.
24 HOUR EMERGENCY SERVICE OPEN 7 DAYS CAT ADOPTION CENTRE HOME VISITS BOARDING OBEDIENCE CLASSES PUPPY PRE-SCHOOL GROOMING SALON WE OFFER OUR CLIENTS A ONE STOP SHOP FOR ALL OF THEIR PETS NEEDS "Where pets in the know go!" AWL cares for surrendered, abandoned and neglected animals and investigates allegations of animal cruelty. We offer industry training and education. Dogs, cats, puppies and kittens are available for adoption. Pet Boarding is also available at our shelters at Ingleside on the Northern Beaches and Kemps Creek south-west of Sydney. AWL also has a new vet clinic located at West Hoxton, 20km from Liverpool. Animal Welfare League NSW has 14 branches throughout New South Wales. Our network of state-wide Branches are granted the autonomy of identifying animal welfare issues of importance to their geographical area and develop the human and financial services to meet the needs. Branches are encouraged to establish annual business plans to provide a workable focus and mechanism for measuring . Branches meet at intervals and times appropriate to their operational activities but engage in regular revenue raising activities through street stalls, raffles, opportunity shops, barbeques, social events and so on. They are always looking for new ideas, so if you have any, let them know. For more information on the work of AWL please contact 02 8899 3333 or click here to send an email. Helping little orphan kittens and Mamma cats with kittens in need of loving homes. Our caring team covers Brisbane, Gold & Sunshine Coasts, Ipswich and Downs areas. If you find a kitten or cat that needs help or if you would like to rehome a kitten or cat we welcome your call. We have lots of cats and kittens looking for forever homes. Our responsible team is available at all times. 7 days 24 hours. Rescuing kittens under four weeks old that are orphaned or abandoned. - Vaccinated, wormed, flea treated, desexed/voucher, full history and cat care notes. At our hospital we rehome several cats and kittens who may not have had the best start in life. All our cats and kittens are sterilized, vaccinated, microchipped and have had flea and worm treatment. They are personality profiled so that they can find the perfect family. Our Mission: 1. To rescue and re-home companion animals from death row in pounds, and other homeless animals. 2. To short circuit the surrender process, and thus reduce the number of animals reaching death row, by providing owners with viable alternatives to surrender, including: short term emergency foster care, assistance with locating pet friendly accommodation and assistance with re-homing. 3. To educate the public on responsible pet ownership, and their rights and responsibilities under the Companion Animals Act, the Prevention of Cruelty to Animals Act, and other relevant legislation. 4. To promote an understanding of the valuable role companion animals play in the lives of individuals and the community. 5. To promote the prevention of cruelty to animals. To make an enquiry about adopting a pet, please click on the web link below. DCH Animal Adoptions DCH Animal Adoptions is a registered charity that rescues abandoned dogs, cats and horses. Our foster animals are housed with volunteer carers until suitable permanent homes can be found. We have carers throughout Sydney, the central coast and the Illawarra and have lots of animals of all breeds and ages looking for new homes. HappyPaws Haven is an incorporated and endorsed animal welfare charity providing pet rescue services in Clarence Valley in Northern NSW. HappyPaws Haven was founded by Sally Rogers in July 2006, and has grown to include a number of local volunteers who dedicate their time to providing care and housing for local cats and dogs who have been lost, abandoned or mistreated. Veterinary Services are provided by the South Grafton Vet Clinic. HappyPaws Haven works with The Belgian Shepherd Club of NSW to assist in the rescue of Belgian Shepherd Dogs throughout NSW. We work closely with the South Grafton Vet now Riverbank Animal Hospital. Birman Cat Fanciers of Qld Inc.
Join the very best Birman Cat Club in Queensland! We have a great group of Birman cat breeders here in Queensland please visit our site to locate the nearest breeder to you. The Birman Cat Club of Canberra has been active in the ACT for the past 15 years. Its aims being to promote the Birman cat and ensure its viability for the future. The Club can help cat owners, particularly Birman owners, with advice on general care, feeding, grooming, showing and breeding. Boarding of Birman cats can also be arranged through the Club. The Club produces a quarterly newsletter called the 'Glove and Gauntlet', which includes articles written by Club members on their experiences, advice from technical publications, news of upcoming shows and social events, and information from other Australian and Overseas Birman Cat Clubs. Club activities include meetings on a regular basis, running of specialist Birman and all breed shows, social functions and fundraising activities. Foreign Shorthair Cat Club of South Australia Inc. The Foreign Shorthair Cat Club of South Australia welcomes membership from anyone with a love of cats. Our special interests are those breeds that are included under the general heading of 'Foreign Shorthairs': Abyssinian, American Curl (Longhair and Shorthair), Australian Mist, Bengal, Bombay, Burmese, Burmilla (Longhair and Shorthair), Cornish Rex, Devon Rex, Egyptian Mau, Japanese Bobtail (Longhair and Shorthair), Korat, LaPerm (Longhair and Shorthair), Mandalay, Ocicat, Pixiebob (Longhair and Shorthair), Russian, Singapura, Snowshoe, Somali, Sphynx, Tonkinese and most recently Lykoi. â€‹ And from other groups: Siamese, Oriental, American Shorthair, British Shorthair, Manx, Scottish breeds, and Selkirk Rex. Enquiries welcome. This carefully developed breed of delicately spotted or marbled cats is tops for temperament, full of love and fun, clever yet relaxed and friendly. Increasingly popular with first time pedigree cat buyers, its well bred but not extreme appearance appeals as essentially CAT. A Breed Council of Waratah National Cat Alliance Inc.
A Club for Owners and Breeders of Bengal Cats in Australia and New Zealand. Enquiries welcome. The club was formed in 1983 and is for breeders and owners of Balinese cats only. The club holds their meetings on the 1st Monday of each month. Enquiries welcome. The Birman Society Inc. was founded in Melbourne Victoria on 30th April 1993. Provide a supportive and caring network for those associated with Birmans and to rescue and care for Birmans in distress or need. Burmese and Other Shorthair Cat Club. Enquiries welcome. This club was formed in 1999 for the breeders and owners in the northern suburbs. It is an all breeds club and holds its meetings on the last Thursday of every month. Abyssinian Cat Club of Australasia Inc. The club was started in 1974 and was called the Russian Blue & Abyssinian Cat club. It is a specialty club and is open to all breeders and owners of the 4 breeds. Meeting are held on the last Friday of the month and information can be obtained from Jeannie Bongers. CAT FANCIERS SOCIETY OF S.A. INC.
LONGHAIR CAT CLUB OF SA INC.
S A CAT BREEDERS ASSOCIATION INC.
We are a club of lovers of Devon Rex and Cornish Rex cats. Our aim is to promote these breeds in a fun and friendly manner. The Rex Cat Fanciers of SA is a GCCFSA-affiliated club for lovers of Devon and Cornish Rex. The club aims to promote these breeds in a fun and friendly manner. We welcome breeders as well as pet owners and show exhibitors. Show information and schedule for our 2009 show now available. SACRED SIAMESE CLUB OF SA INC.
Cat Fanciers’ Club of Tasmania Inc.
Short and Curly Cat Society. Tasmanian Smooth and Fluffy Felines Inc.
Burmese Cat Society of Qld. Burmese Cat Club of W.A. Inc. Feline All Breeds Society Inc.
Over the years the Rex breeds have become very sought after, both as loveable companions and breeding cats. The number of Rexes in Qld cat shows alone has seen a huge increase – with the group sometimes out numbering other “more popular” breeds such as British & Burmese. With this increased love of the Rex, many breeders, pet owners and other fanciers got together and formed The Curly Coats Cat Club of Qld Inc in 2004. It was formed under the CFCCQ Inc banner. CFCCQ Inc is an Associate Member of the Co-ordinating Cat Council of Australia – CCCA. Each year The Curly Coats Cat Club of Qld Inc will hold a Specialist Show in Brisbane, Queensland. This is usually a 3 or 4 ring All-Breeds show with a special ring for Rexes. There is a Perpetual Trophy which was donated at the first Curly Coats show by Nevaska Devons, which is awarded each year and the winner of the Best Rex of Show is given a smaller trophy to keep. The original Perpetual Trophy is kept by the President for safe keeping. Membership/Associate membership is open to all registered breeders throughout Australia and New Zealand and is by invitation only. Advertising on the official website will be affordable for all breeders – however you must be a member or associate member to advertise. You do NOT have to breed Rexes to become a member, we are very happy to have other breeds/breeders advertised on this website. We are sure that this club will continue to grow as lots more of wonderful breeders join us in the coming years. Siamese & Shorthair Cat Club. The Siamese and Shorthair Cat Club is one of the oldest cat clubs in Queensland, Australia. Starting out as the Siamese and Shorthair Cat Society, the name was changed in 1997. The Club now has members who breed both shorthair, longhair and semi-longhair pedigree cats. Our members breed for excellence in health, temperament and type. Siamese & Shorthair Cat Club. The Siamese and Shorthair Cat Club is one of the oldest cat clubs in Queensland, Australia. Starting out as the Siamese and Shorthair Cat Society, the name was changed in 1997. The Club now has members who breed both shorthair, longhair and semi-longhair pedigree cats. Our members breed for excellence in health, temperament and type. Club for Owners and Breeders of Bengal Cats in Australia and New Zealand.\r\n\r\nMembership enquiries Welcome. The Siamese Cat Club caters for Siamese, Oriental Shorthair, Oriental Longhair, Foreign White & Balinese cats. We are affiliated with the Feline Association of South Australia. Club Meetings - The meetings are held normally during some lunch breaks at most FASA shows. Every cat lover is welcome to join us for a drink and a chat. Sophisticats Cat Club Inc. is an All-Breeds Cat Club which conducts an annual Championship Cat Show in April of each year. Members of the public are encouraged to come along to our shows to see the cats on show, watch them being Judged and speak to breeders about their preferred breed of cat. ACT Cat Alliance is the ACT region of the Waratah National Cat Alliance (WNCA) "where the cats are always the winners!" We represent Waratah in the ACT region. We're one of the eight regions that comprise the WNCA and we're responsible for ACT regional affairs. Waratah strives to be a totally professional organisation responsive to the needs of all cats - their owners, breeders and exhibitors. Waratah is Australia's only national cat registering group, a group that is growing faster each month. Waratah has a culture that encourages every member to participate in all activities and every effort is made to ensure that you enjoy yourself. Wherever you live in this great country there is a Waratah member close by who will be happy to assist you with your fantastic hobby of cat showing and breeding. HappyPaws Haven is an incorporated and endorsed animal welfare charity providing services in the Clarence Valley Region. HappyPaws Haven in Grafton was founded by Sally Rogers in July 2006, and has grown to include a number of local volunteers who dedicate their time to providing care and re-housing for local cats and dogs who have been lost, abandoned or mistreated. Veterinary Services are provided by the South Grafton Veterinarian Clinic. Volunteers are covered by public liability insurance and volunteer activities are an option for people on New Start, Work for the Dole and other Centrelink Programs. The charity is run based on the model rules for associations supplied by the NSW Office of Fair Trading. HappyPaws Haven is managed and operated by volunteers, there is no paid staff, all donations and adoption fees go towards the care of the animals. We are not funded by any government or quasi government body. At our Animal Re-homing Centre/Shelter we do not impound these wonderful creatures in an antiseptic, caged atmosphere, like that found in typical animal shelters. The dogs and cats are kept in a natural setting. The dogs have the opportunity to roam in grassy paddocks with oversight and control by our volunteers. Our cats live in a community environment within a large open cattery. When an animal arrives injured or sick they are quarantined and nurtured by caring human hands back to health. Dogs and cats are kept separated from the main population until an emotional, behavioural and psychological assessment can be made, then if all is well; they are slowly integrated into a pack or cattery. We are involved in the Pedigree Adoption Drive seen on television and PetRescue. The Sunshine Coast Animal Refuge (Sippy Creek Animal Refuge Society Inc) was established in 1979 to provide temporary refuge and find new homes for abandoned, abused, stray and unwanted cats and dogs. The Refuge is an independent, non-profit, charitable organisation and has a strictly regulated non-euthanasia policy. We also run education programmes for the community on responsible animal ownership. All cats and dogs admitted to the Refuge are Vet checked, vaccinated, wormed, desexed, micro chipped and medically treated if necessary prior to being available for sale to the public. We have comprehensive terms and conditions of sale to ensure the animals are adopted into an appropriately loving home. The Refuge is managed by an unpaid, elected committee, and run by a small staffing compliment and a large dedicated group of volunteers. The Refuge operates from a 1.08 hectare site at Sippy Creek Road, Tanawha (adjacent to the Council Pound) and can house approximately 70 dogs and 50 cats at any given time. We accept cats and dogs from the Sunshine Coast Regional Council Pound after owners cannot be traced, and from private surrenders. AWL is embracing a brighter future in which every companion animal will have a caring and responsible home for life. AWL cares for over 10,000 stray and abandoned companion animals on the Gold Coast and surrounding areas every year. AWL rehomes unwanted companion animals at one of the highest rates in Australia. AWL provides quality veterinary services through our Vet Clinic and an after hours ambulance service for injured animals. AWL educates school children and their communities about caring responsibly for companion animals with curriculum linked education programs and hands-on companion animal care courses. AWL works to end euthanasia of over 200,000 healthy companion animals per year in shelters all over Australia through the development of community awareness campaigns and supportive laws and policies. The Animal Welfare League of Queensland Inc. (AWL) is a non-profit, non-government funded, charitable organisation. We rely on community support through donations, fundraising efforts and volunteers. The Gold Coast and surrounding communities should be immensely proud, as it is their support which has enabled the AWL to provide for the thousands of animals in need over the years. We are continuing this year to not only care for all the unwanted, stray and abandoned animals that come through our doors, but also increase community awareness about how to end the tragedy of pet overpopulation. Our goal is to bring an end to the euthanasia of healthy animals in Australia through education and awareness. Donations, legacies and bequests are greatly needed to assist our goal and are deeply appreciated. It is through the continued support of the community that we will achieve a brighter future for every companion animal in need. Click here to become an AWL Member or make a donation. The operations of AWL are arranged so that minimum finance is spent on administration while a maximum is devoted to the direct care of our animals. AWL is directed by an honorary committee elected from the membership at the Annual General Meeting. Paid staff includes administration staff, animal attendants and a handful of qualified professionals. Supporting our paid staff are our wonderful volunteers who assist in the day-to-day operations of the AWL. To provide sanctuaries where proper care, feeding and attention is available. To erect, maintain and where necessary replace kennels, premises and building appropriate to such sanctuaries. To enter into arrangements with local government (Councils) for the custody and care of impounded animals. To seek homes for abandoned and unwanted animals and so avoid their unnecessary destruction. To oppose all forms of cruelty and neglect of animals. To oppose the use of animals for painful, unnecessary experiments and to encourage forms of experimentation which does not involve animals. To discourage indiscriminate breeding and encourage desexing with a view to reducing the overpopulation of dogs and cats. To provide legacy facilities to enable animals to see out their lives in comfort and dignity. To educate the public, and particularly the young, on the role of animals in society. Since 1959, AWL has been providing health care, food, shelter and love for society's unwanted, abandoned, injured and homeless animals. Annually we care for over 10,000 animals that arrive at the doors of our Sanctuary situated at Shelter Road, Coombabah on the Gold Coast. The Golden Oldies Program was introduced to find loving homes for animals approximately 8 years old and over. The Foster Care Program enables hundreds of under-aged puppies and kittens to be cared for by loving foster carers until they are old enough to be rehomed. The Enrichment Program provides dogs waiting to be rehomed with a much needed change of scenery by taking them to the beach twice weekly. The Volunteer Program ensures that all animals waiting to be rehomed are given the love, care and human companionship that they would normally receive in a family home environment. The National Summit to End Pet Overpopulation will bring together all stakeholders to share challenges and effective strategies and set targets to reduce the numbers of companion animals euthanased in Australia. To download details of this initiative, please click here. The Companion Animal Stakeholder Coalition is a collaboration of professionals who have an interest in ending the euthanasia of healthy pets. The Coalition includes representatives from AWL Qld, Gold Coast City Council, Australian Veterinary Association, Canine Control Council, Gold Coast Dog Obedience Club, International Dog Obedience Training schools, Queensland Feline Association, Pet Industry Association Australia, RSPCA Qld, Wildlife Preservation Society and Wildcare Australia. Caring Responsibly for Your Cat and Dog is an educational DVD, produced by AWL in conjunction with the Companion Animal Stakeholder Coalition. The DVD covers all of the information a prospective new pet owner needs to know, and is available through pet stores and animal shelters at no cost to persons interested in purchasing a pet. The Last Litter Fund, offered through the AWL Vet Clinic, gives owners who surrender a litter of kittens or puppies to the AWL the opportunity to have the mother (and father if known) of the litter desexed for the price of a small donation. The Desexing Fund is set up to assist pet owners in genuine financial need to have their pets desexed for the cost of a small donation. The National Desexing Network (NDN) is a program which promotes desexing through linking vets with pet owners who cannot afford to desex their pets. Each year in the month of August, the NDN in conjunction with the AWL Qld, promote National Desexing Month across Australia. The AWL Vet Clinic, attached to the our Shelter in Coombabah, offers all veterinary services at competitive prices. Our Pet Cremation and Memorial Wall service offers animal owners the opportunity to have a deceased pet cremated and the ashes placed into an urn and then returned, or alternatively placed into our Memorial Wall at our Shelter. The Animal Welfare League of Qld Inc. is a non-profit, charitable organisation that receives NO government funding. The value of a bequest or donation means that animals are given every chance to find a loving, permanent home. Please consider a generous donation to ensure that all of these important programs, initiatives and services continue for years to come! Cat Traps For Re-Homing strays or removing feral cats. Rent a cat trap for $4 per night. Jindalee/Brisbane. $80 security deposit on traps is required. Help us to re-home cats where possible. Full training provided on use of traps, plus 24/7 ph support. My system was developed over several years & if u follow instructions exactly most cats caught in 4 days. Give 95% guarentee u will catch cat if follow my system!! About 80% of the "feral" cats people catch are actually domesticated animals who have been dumped, most when they are pregnant or when people move away or get bored with the pet. These cats are "deferalised" over time by patient, loving volunteers via groups like the RSPCA, Angels for Animals & Animal Welfare League. Also, I provide full training to individuals who choose to keep and calm the cats themselves, BUT about 20% are what I call true ferals and unfortunately no amount of love and patience will calm these poor things and they generally have to be put down. Many of these true ferals also have horrendous health issues and it is considered humane to put them out of their suffering. **Brisbane floods have affected our capacity to rehome feral cats. We will attempt to rehome if possible, but several organisations are no longer able to accept animals. * customer must pickup/dropoff cage themselves * customer must take cat to welfare agency themselves * flexible pickup/dropoff times outside business hours if needed, call to arrange. Brisbane Valley Cat Rescue cares for and re-homes stray,abandoned and abused cats and kittens of all ages. The shelter provides a safe haven in a "NO KILL" environment where cats and kittens can await the arrival of that special person or family. All cats and kittens are desexed, vaccinated, microchipped, wormed and flea treated prior to adoption. There is no pressure to adopt. Come to the shelter, wander around and sit with the cats and kittens and get to know each other before making your decision. The Longhair Cat of SA supports all longhair breeds with breeders seminars, discussion groups and shows. The Animal Welfare League of South Australia strives to provide animal protection and help care for thousands of lost and abandoned companion animals. Over a 43 year history, the AWL has re-homed thousands of animals, and returned many ill-treated dogs and cats back to health. The AWL strives for a world full of responsible pet owners. Offering pet adoptions, dog training, injured animal rehabilitation, pet boarding, animal protection, cat retirement homes and more. animal Shelters, pet shelters, lost dogs, lost cats, animal welfare, animal welfare league of south Austraila, abandoned animals, companion animals, adopt a dog, animal contributions, animal protection, animal welfare, cat retirement, dog behaviour and training, dog shelter, lost dogs, lost cats, mutts with manners, pepper tree cottage.